FCR carbs on a 4AGE. Retro Fanta Golden Grape flavour blow-by catch tank. Low offset Wats and SSRs. 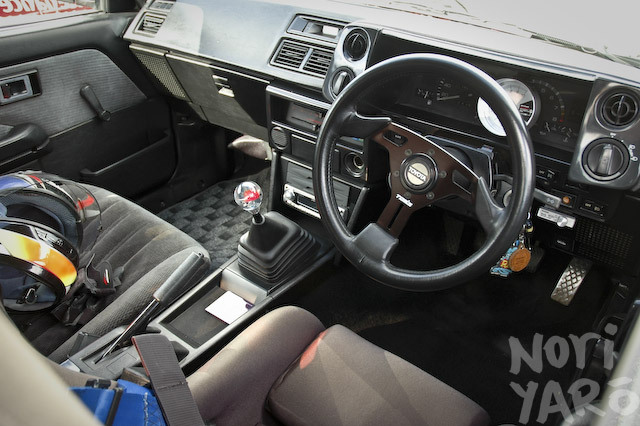 Black interior, “fishing fly” acrylic shifter, Tom’s steering wheel, Pivot tacho. Proxes R888 on the front, Bridgey RE-01Rs on the back. 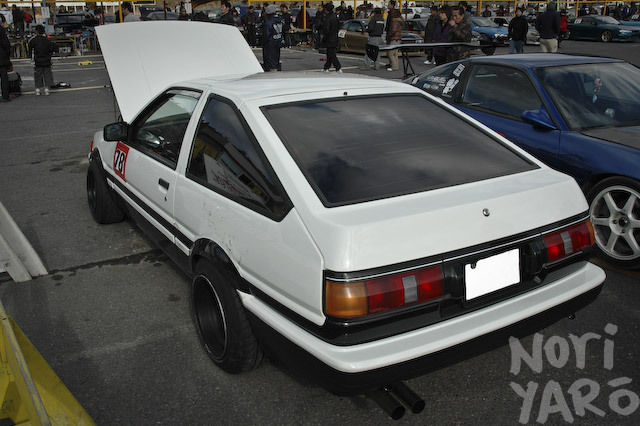 One day a will have a Panda hachi but with wheels a litle more big. 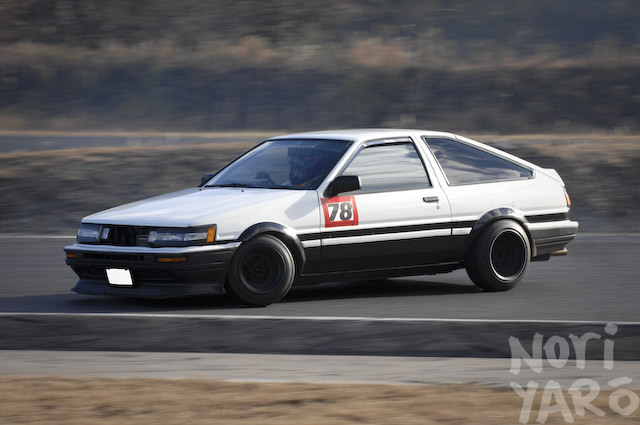 But this Hachiroku have a lot of style and looks very beatiful when is driting. Great post I like to see cars of normal people. Tough as F—k!! simple Battle Style!! wats,low lip ,oni-can! great article again! running A/c also! Its too bad only poor people own 86′s here. 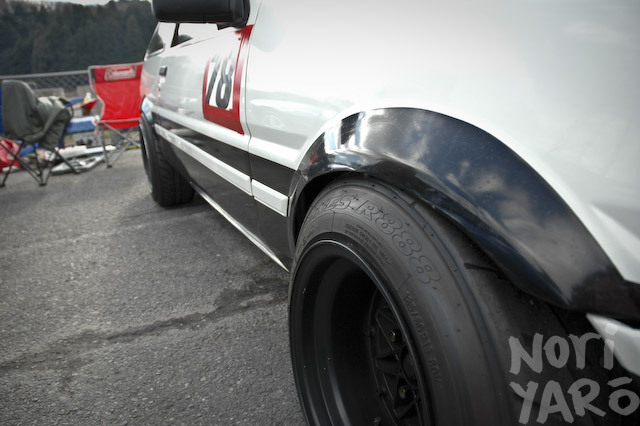 This is a perfect example of a clean simple 86. It’s not hard to do. do u ever see the spirant.jp guys? 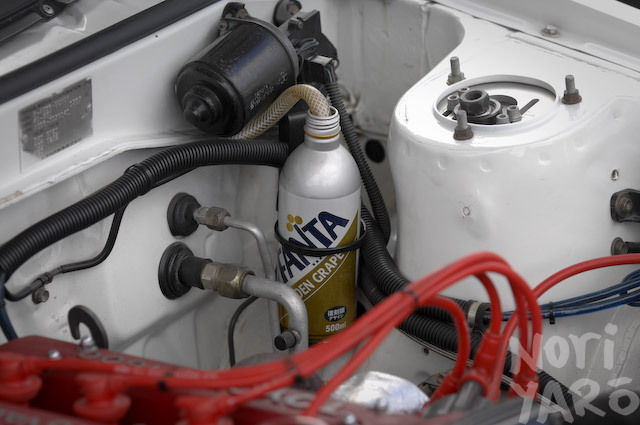 I want some grape fanta though..
All i hope for is my 86 looks that good in the end!!! Keep up the good work mate!!!! !